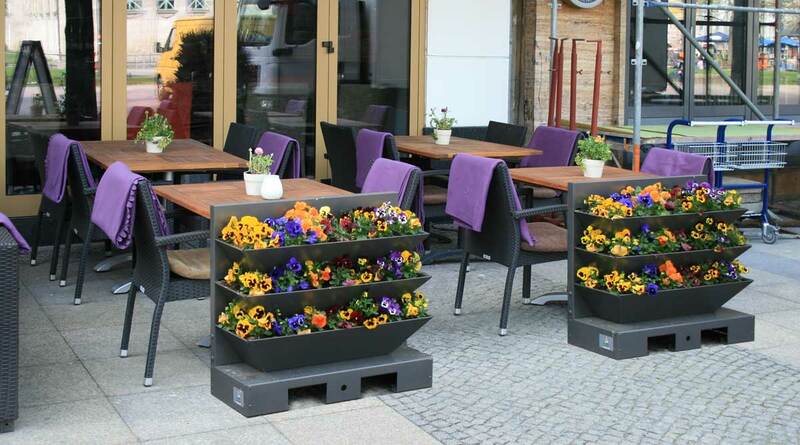 Our Plant Borders are especially suitable for outside catering use such as restaurants or cafes. 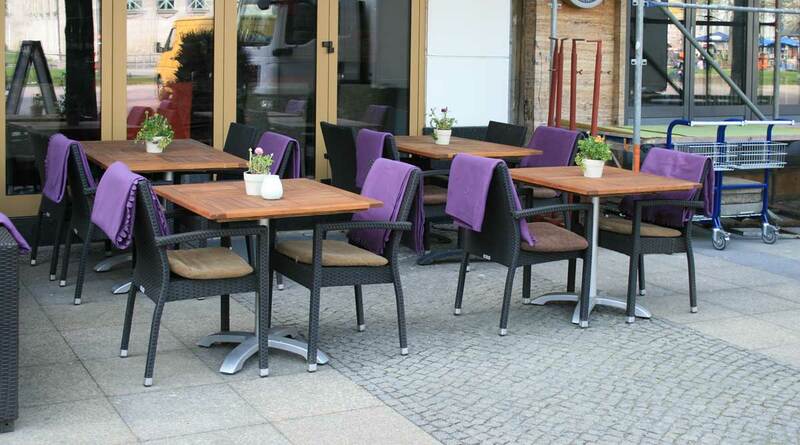 They are simply placed at the table’s end and thus create an attractive barrier to the outer area. Customers will appreciate the natural floral beauty and privacy during their visit. The PYRA Plant Borders consist of three levels which can be filled with soil and planted individually. The frame which comes in standard dark grey is completely covered by the foliage in a short amount of time and your patio area becomes a sea of blossom. Of course, the PYRA Plant Borders can be coated in all RAL Colors according to your requirements and hence fit in perfectly with your exterior design.